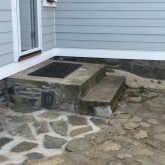 Roots Landscaping provides full masonry services to Washington homeowners and businesses. 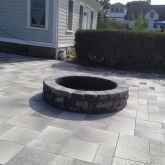 We provide a variety of services from stone walls, pathways, fireplaces and more. Our professional contractors have the experience and expertise to carefully craft custom masonry projects. We take pride in our work and services and want you to feel the same way. 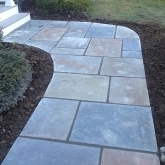 Let Roots Landscaping be your #1 masonry contractor for your Washington property. At Roots Landscaping, we are dedicated to building our customer’s vision. 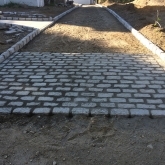 We will work with you to build your dream pathway or poolside patio. This not only enhances the look of your property, but also adds market value. 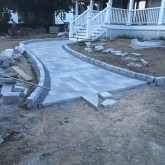 At Roots landscaping, we will help you decide the best type of material from stone to brick and work through all the details to make sure you get the service you deserve. Roots Landscaping is among the top rated landscapers throughout Google Review, Yelp and Angie’s List. That’s because our contractors provide high-quality, professional service from the moment we begin doing business. We want your property in Washington to resemble the quality we strive for. There are a multitude of options to choose from when deciding between stone, brick, color and size. 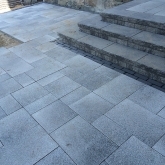 To help assist in the process, we have included popular stone types that are normally installed. If the stone or brick you don’t desire is not listed, we will work with our suppliers to make sure we can provide it for you. With our contractors expertise, they can help you make the best choice when it comes to matching colors and type to your property in Washington. There are always hundred of bricks, stone, slate and more to choose from. But to get started, thinking about the above points can help you narrow the process of your search. 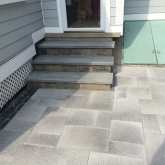 Having a good idea of what you’ve like will help our contractors pick out the best masonry materials for your home or business in Washington, CT. Overtime the structural integrity of your masonry will deteriorate from the natural processes such as rain, hail, wind, snow and other types of precipitation. This contribute to significant damage that begins to change the interior of the stone as it expands and shrinks. This leads to cracks that manifest into larger holes and destroys your masonry. At Roots Landscaping, we’re prepared to repair and restore your existing masonry on your Washington property. This may include repairing sections, rebuilding entire parts or installing a new piece in order to get it back to a structurally sound state. At Roots Landscaping, we provide commercial clients of Washington with a plethora of masonry installation, restoration, and repair services. We will first sit down to consult with you, learn about your vision and come up with a plan of execution. We will also measure out and give you an estimate of total projected costs of the masonry project. Again, we’re here to help improve the aesthetics and increase the value of your Washington business so let us help you make the best informed decisions with our expertise. 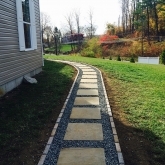 Roots Landscaping provides top-rated masonry installation, restoration and repairs in Washington, CT. If you would like to learn more about our company, services, and team, contact Roots Landscaping today. In addition, we also provide expert fencing and landscaping services. If you are interested in either or all of these services, call us today at 203-304-7326.